GUANGZHOU, CHINA, 4 FEBRUARY 2012: Images of master ivory carver Wu Rong Chang, 67, who has been carving for 50 years, photographed working on a large Ivory carving at the Guangzhou Daxin Ivory Carving Factory. 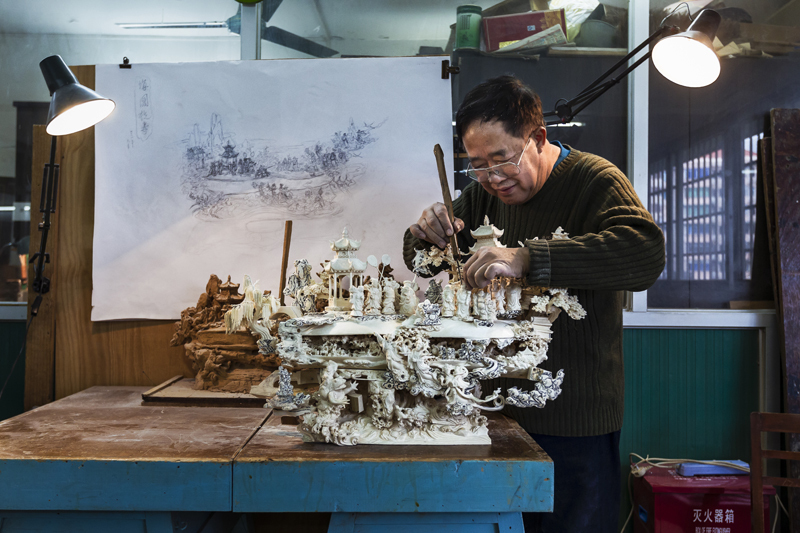 Chang is seen working on a carving depicting the 18 Monks, an important Buddhist legend in Chinese culture. This carving will sell for more than $250 000. These carvings are seen as not only a good investment by Chinese buyers but also as a symbol of their faith and an investment in their good fortune.